The price for Iball Slide Nimble 4GF 16 GB 8 inch with Wi-Fi 4G ( Rose Gold ) is valid across Bangalore, Hyderabad, Chennai, Mumbai, Delhi, Pune and Kolkata. 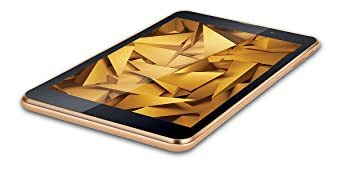 The Iball Slide Nimble 4GF 16 GB 8 inch with Wi-Fi 4G ( Rose Gold ) is available at best price of INR 8999 on Flipkart. iBall Nimble 4GF Full Review¦Worth it?